My friends and fellow mates… I was writing to you personally, but now I want to throw it out on public. Thanks to every single of you, to everyone, who came for decision to join our CTR flag no matter what, and who is eager to reborn and move up Big Beat/Breakbeat into the masses again. Thanks for everything that every single one of you is bringing in to our community — no matter how big or small your contribution is. Thanks for staying in our team despite all the difficulties that are surrounding our world, our flow and our home. If I was rude with anyone of you or was messing up with some things, please apologize for that, cause all I was trying to do — like anyone of you — is to win through this rough road to make our place among current musical heights, counting on tastes and senses. Separate big thanks goes to our fans and supporters, who are listening to us, spreading the word about our community and donating to our musicians, supporting them with their comments and thoughts at the socials. We are doing this mainly for you. It’s been a year now, and we’re already achieved alot. We’re unique in some way, because our releases are hanging out respectable positions at the world wide charts, and people all over the world, who are interested in Big Beat and Breakbeat, are starting to notice and follow us too. But let’s leave all that words at the side, since we’re just at the very beginning of our way, and we will need to overcome many of different things. I believe that our team can definately handle it all. Once again — thanks to you all for being with us. Stay tuned and enjoy of what we’re doing! 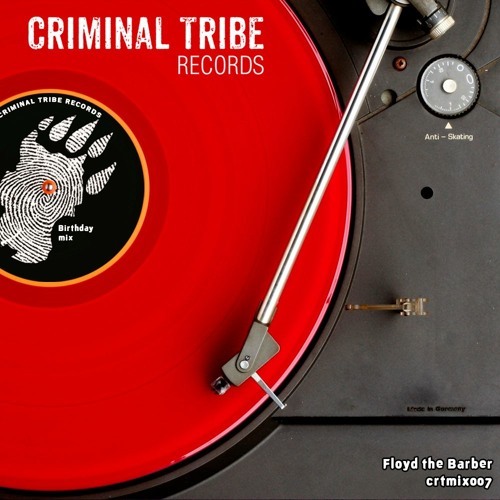 Happy birthday, Criminal Tribe Records & all the friends! P.S. Also, check out our birthday mix, presented by Floyd the Barber! Sincerely yours, Alexey «Hornet» Tereshkov.